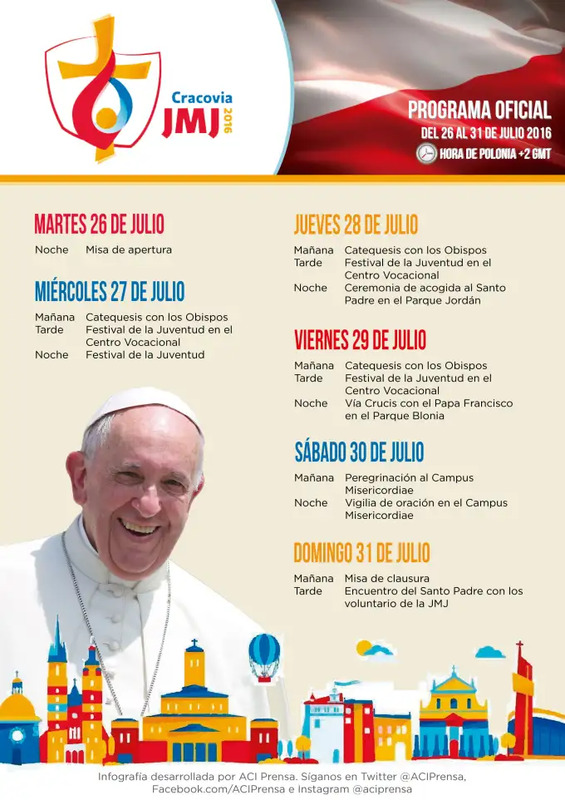 EL PAPA FRANCISCO ESTÁ EN CRACOVIA WYD 2016. JULY 31st, 2016: FAREWELL OF POPE FRANCIS: ACIPRENSA. JULY 30TH, 2106: CAMPUS MISERICORDIAE, NIGHT VIGIL WITH THE POPE. WYD 2016. July 27th 2016: Mass opening World Youth Day. Rome Reports. Himno oficial, jornada mundial de la juventud. Fuente: Aciprensa. Reportaje especial WYD 2016. Aciprensa.